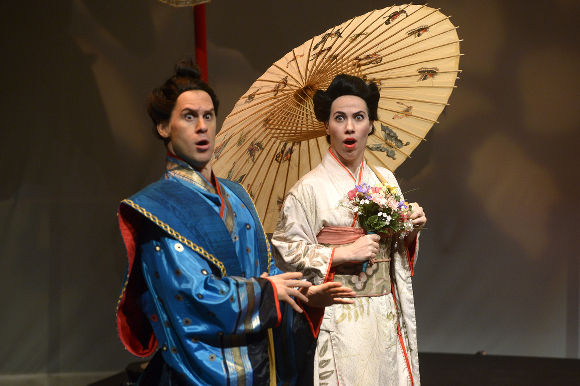 Subscriptions are now on sale for Toronto Operetta Theatre. The line up has changed from the original spring announcement. There are still three shows but the run of Candide previously announced has been replaced with a single concert performance, with piano accompaniment of Gilbert and Sullivan’s HMS Pinafore. It’s at 3pm on November 1st. The main attraction (pun absolutely intended) is probably Greg Finney as Sir Joseph Porter KCB. There’s also Charlotte Knight as Josephine. 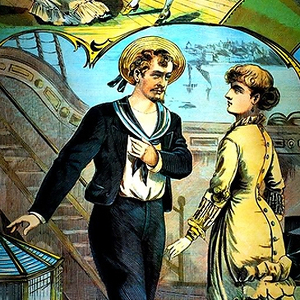 Next week the University of Toronto Opera Division will be staging HMS Pinafore; the first Gilbert and Sullivan at the MacMillan for 25 years. There are four performances; at 7.30pm on the 27th, 28th and 29th and a 2.30pm matinée on the 30th. Following UoT practice it is double cast. The cast for the 27th and 29th includes Charles Sy, a finalist in the COC’s Centre Stage next week as well, and Karine White. They are probably the two singers from UoT who have most impressed me this year and are definitely worth hearing. Michael Albano directs and Sandra Horst conducts. Tickets are $40 adult, $25 senior, $10 student.